Meet with the locals who will cook up a homemade dish, while you learn about their culture and lifestyle. Many nationalities visit Denmark every year. 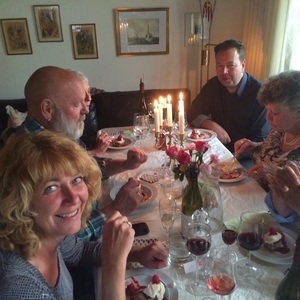 Meet the Danes would like to give our foreign guests a unique, personal and more authentic experience of Denmark and above all the Danes 'The Happiest People In The World'*. Here you join the local people, who will cook up a homemade dish for you, while you learn more about each other as well as the culture and lifestyle. We are sure they have some tales to tell you. We invite you inside to Meet the Locals in their own cosy homes to have Dinner. Thousands of visitors have met our hosting families and got a very cultural and present experience. During these social dinners many of our hosts and guests form friendships. Meet with the Locals is an opportunity to visit the local people where you eat together and discover more about diversity and other people’s way of living. *Visit Denmark: Happiest people in the world!? 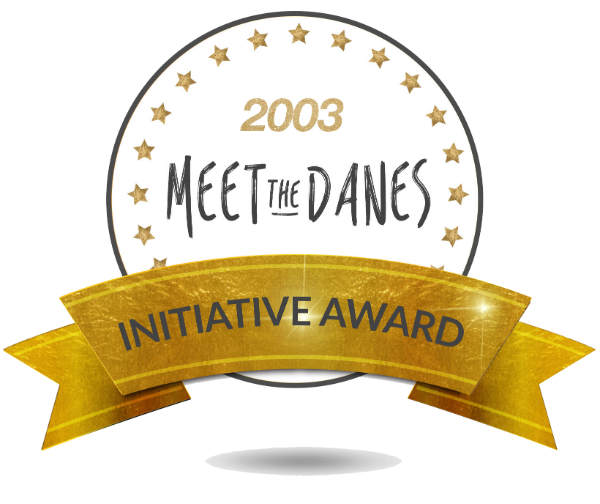 In 2003 Meet the Danes received a Danish award called the Initiative Award from “Fonden for Turismens Fællesråd”. In 2002 Meet the Danes received a prestigious International tourism award (British Guild of Travel Writers’ Silver Otter Award) for 'BEST OVERSEAS TOURISM PROJECT'. An award we of course were very happy and proud to receive. This recognition, which has been featured in medias worldwide, has further increased the huge interest in Meeting with the Locals. Bibi & Torben "On Bispebjerg Bakke"